We are on a floating shelf kick over here at Casa Chavez. Putting them evvvverryywhere. 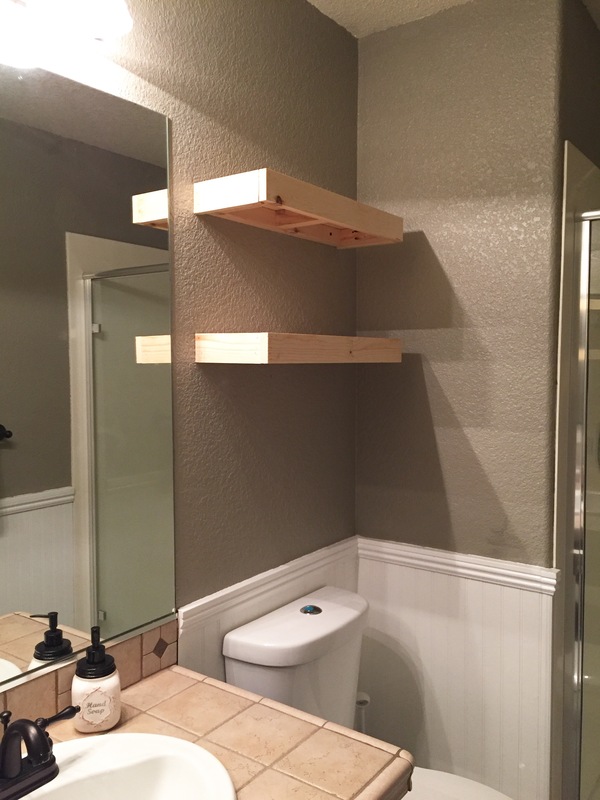 Our downstairs bathroom is a full bathroom with little storage space. 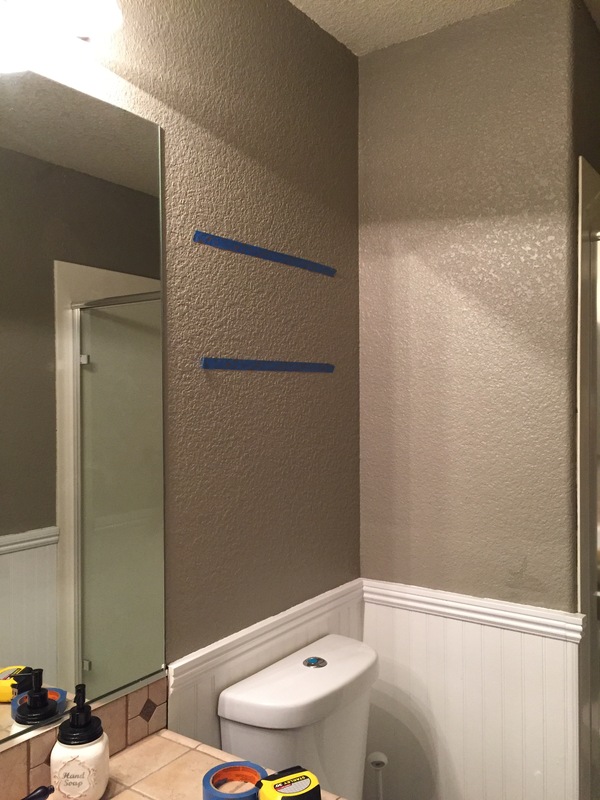 I really wanted to do something with the empty space above the toilet area to maximize the space. 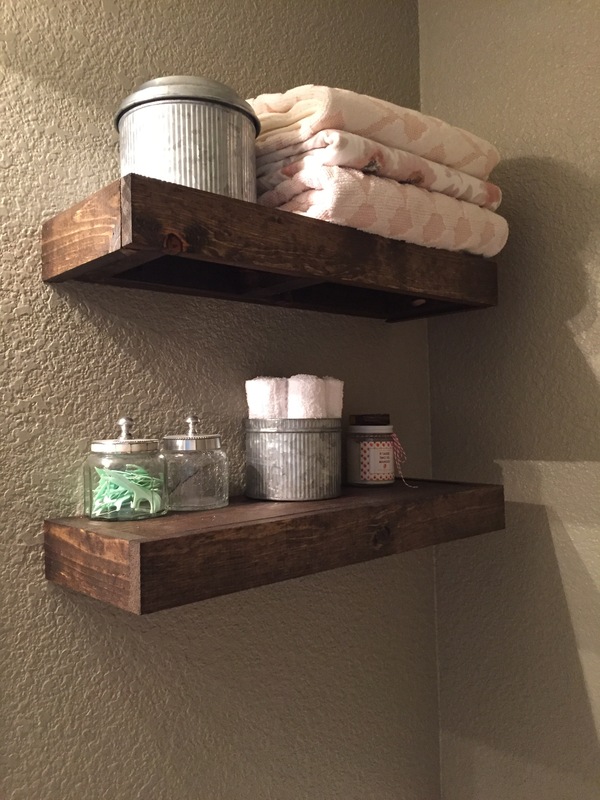 We went with the easy to follow Shanty 2 Chic style floating shelf tutorial. After a dark walnut stain and some décor, they are ready to go!